SEO isn’t just for big and online businesses, if you’re a small business that wants to reach out to more customers locally then there are plenty of things that you could be doing to make your website more search engine friendly. In this article we are going to focus on technical optimisation, but never fear we’ll be picking up on content and domain optimisation in later articles. Technical optimisation is basically how easy you make it for a search engine to crawl and index your website. Whilst there are lots of things that you can do to optimise your website for a technical point of view, we’re going to focus on some simple pointers, that in most cases you can do yourself. 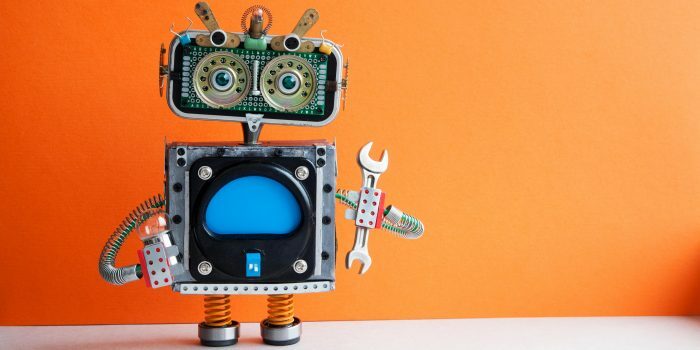 It might seem like common sense, but making sure your site it set up so that it is easy for the bots to search or crawl is essential and that takes work and maintenance. It’s also really important to remember that you are building your site to be useful to users, not just so that bots can crawl it. However, when it comes to technical optimisation and site structure it’s basically the same thing! Your site should be easy to use for users, they should be able to move around the site quickly and get to where they want to go in a simple and minimal series of clicks. When building your site and adding content, keep in mine the hierarchy of your site and the links involved. The below image shows an example of how a pyramid structure would look for your site. Your home page will sit at the top of your structure, containing the key information on your business or website, from there users are able to navigate through the menu to different pages or categories, but as you will see from below, all content should flow. Each time you add content think about where it sits in the hierarchy of the site, and if you haven’t created different categories for your content or products then get that fixed as soon as possible. Make sure you have a sensible system for your links including links to relevant content within your site not only helps users navigate but also allows search bots to understand the structure of the site and the link system. Below is a super useful video from Google that explains a little more about how crawls actually work and how Google works out how relevant your site is. When putting your URLs together think about the keywords that are relevant to your business and make sure they are included in the URL for that page. If you’re using WordPress it’s super easy to do this, just go to settings –> permalinks and then pick the sample post option, you can see in the example below how this works for Rock Content and our SEO analysis page. As mentioned before, technical optimisation takes time. For sites that are creating a large amount of content, or uploading products there is the risk that a link will get broken here or there, rest assured it’s not the end of the world. By running a weekly audit of your site you’ll be able to flag up and fix any issues as they arise. It’s a small task that will take you a few minutes each week rather than having to fix hundreds or even thousands later down the line and damaging your sites SEO. To speed things up even more, sign up to someone like Moz, that way you’ll get a weekly crawl sent straight to your inbox. Speed is really important for your website, as we mentioned earlier Google wants to see that your website is useful for the user, and if your website takes an age to load, that’s not great for potential customers. In fact, it’s so important that Google will penalise slow loading websites. One of the biggest factors that slow down websites are images. This doesn’t mean that you should hold back on the images (see unicorn); instead use a compressed format a.k.a a JPEG for the majority of your images. If you want to make sure that all your images are optimised there are a number of plugins available such as Smush, that will compress and optimise your files. Google doesn’t see images in the same way that we do, in fact it doesn’t understand images at all. So, to make it easier for Google and to give images a value in Google’s eyes with have to tag the images with the relevant keywords that we want Google to register for that image. For example, in this article I’m looking at technical optimisation for your website, therefore the images I use have the same keyword as their alt tag, this way I’m providing the search engine with as much information as possible. As mentioned at the start, there are many things that you can do to improve the technical optimisation of your site, and in future articles we’ll look at more options, however if you’re a small business getting a handle on these simple steps could make a real difference to not only how search friendly your website it, but how user friendly it is. For more info on SEO or to request your free SEO analysis, get in touch via the contact page.